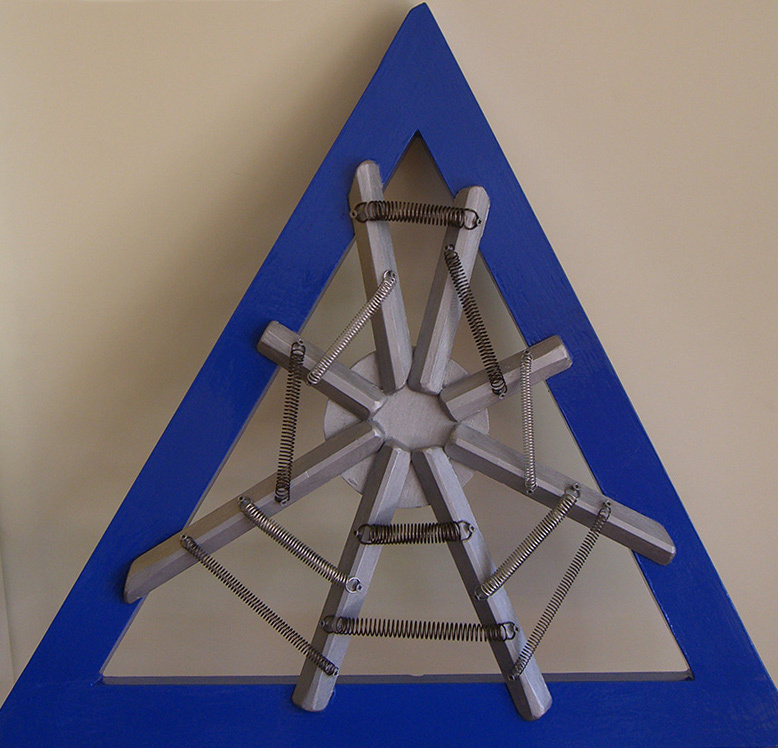 Blue Triangle is a Spring percussion instrument. It is our very first self-built acoustic instrument and it got us hooked on instrument building! This is the first instrument in our Spring instrument group. Sonically Blue Triangle represents the idea of a big sound in a small body. Despite its angular shape, when plucked with a finger, its sound can be round and at times a bit like a gong or church bell. But when applying different articulations, such as scraping with a plectrum or striking with a rubber mallet, metallic, more industrial sound qualities emerge and rattle along with the Blue Triangle's natural spring reverb. As most of our Wobblophones do, the Blue Triangle has a strong presence of overtones (and "undertones").